Ta Da....Check out my new blog design. What do you think? I've been working over the last week with Honey Bunch Blog Designs to create a new look for my blog. Their design blew me away. Coming in to the process I had an idea what I wanted...a garden, outdoorsy theme, with flowers, an iris (my favorite flower), a butterfly, and the colors purple, blue, and green. A week later, shazam...welcome new blog design. I also have a blog button (also located on the right hand side of my blog)! If your in the market for a new design I highly recommend Honey Bunch Blog Designs! Their design packages are affordable and they will help you select the best graphics to meet your needs. A lot of the graphics in my design came from Meryl Barthlo and I have custom graphics from their in-house designer, Melon Headz. She created the butterflies and the iris to match my design. 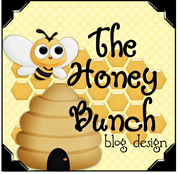 Check out The Honey Bunch Blog Design. They truly have your best interest at heart. You will love working with them! BEAUTIFUL new design. Absolutely love it! Congrats! Thanks as always for visiting my blog this weekend! Love your new blog design!! My favorite colors are green, blue, and purple too! Congrats. 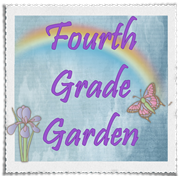 I am just embarking on the whole blog as well as Honey Bunch is doing my blog as well. I'm excited for you and very excited for me and my new blog too. Yours is just beautiful...happy blogging new friend! Thanks again for allowing us to decorate your blog. I love the way it came out. So beautiful and peaceful... much the way I imagine your classroom to be. Your blog design is beautiful! I love it. Thanks ladies for all your kind words! Check out the Honey Bunch Blog Design. You won't be disappointed!